“China needs to slow down” and turn to “craft thinking”, says Aric Chen, creative director of the 2012 Beijing Design Week. Here craft is intended beyond handicraft, to encompass notions of authenticity, process and integrity. Chinese industry is often associated with mass production, and chinese architecture in the last couple of decades with bigger, taller, flashier. 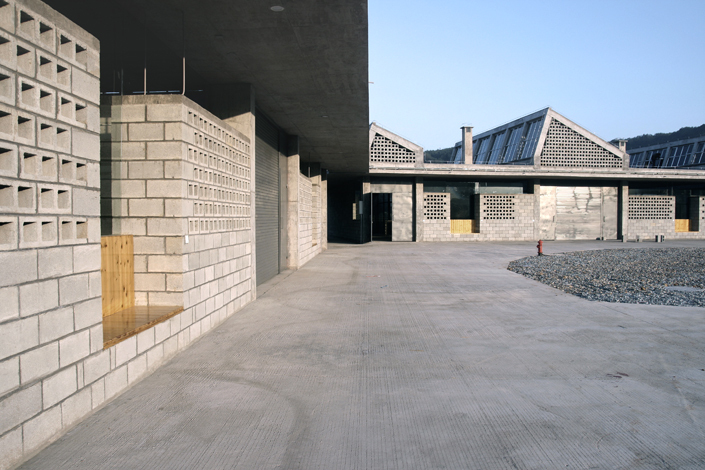 The Design Week aimed at showcasing the “a creative ethos that is more quietly bubbling in Beijing.” In the same year, Shanghai architects Neri & Hu, talked about “the absence of a modern Chinese architecture and design language” and added: “Architects feel lost” due to the frenetic pace of development in the country. They went as far as adding that: “It’s done in such a half-assed way that it becomes scary.” (See some ‘scary’ images here). Nonetheless, like Chen, they believe that there is a growing interest in conservation and small scale, more sensitive, development. 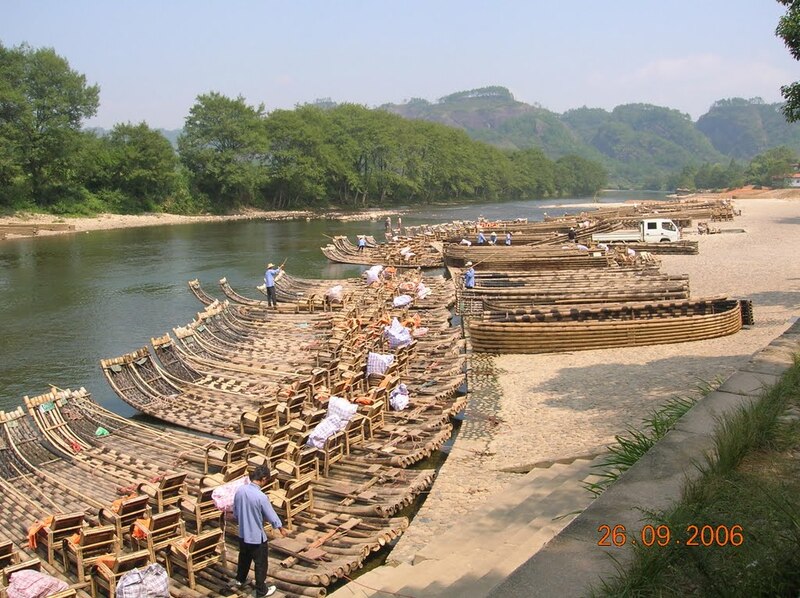 In 2013 Trace Architecture Office completed the Wuyishan Bamboo Raft Factory, a manufacturing and storage facility producing bamboo rafts used to sail the Nine Bend River in Wuyi Mountain. Each winter 22,000 bamboo stems are harvested, stored for a period in the workshop, then used to manufacture 1,800 bamboo rafts annually. 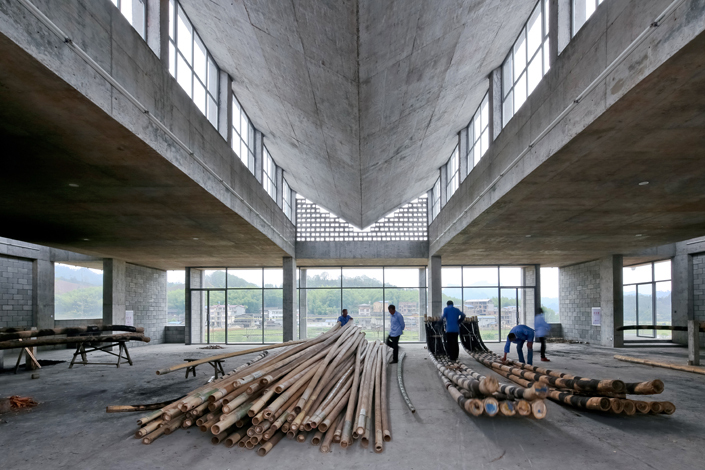 The project consists of three buildings organised around a central courtyard: a bamboo raft storage warehouse, a bamboo manufacturing workshop, and an office and dormitory building. 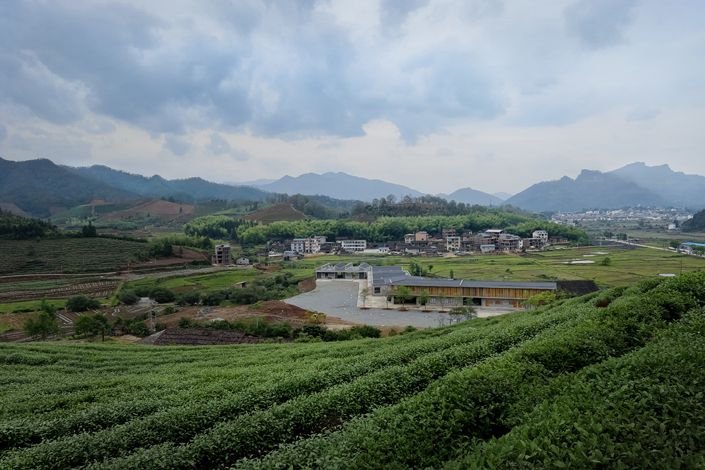 They sit on a plateau surrounded by fields in Xingcun village, Wuyi Mountain. 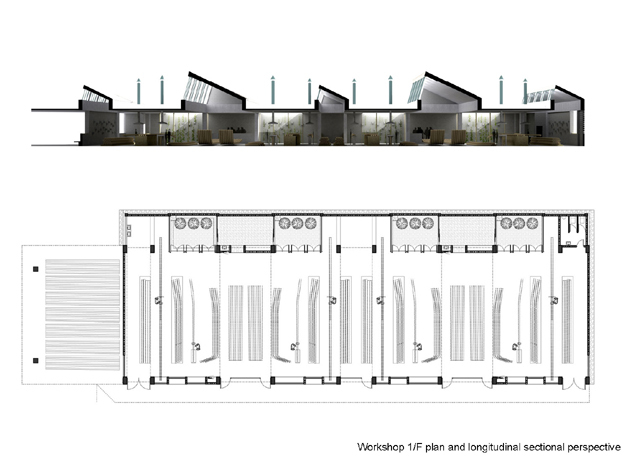 The manufacturing workshop is divided into two units. The interior, with its long span and open layout, is nine meters wide, required for firing. 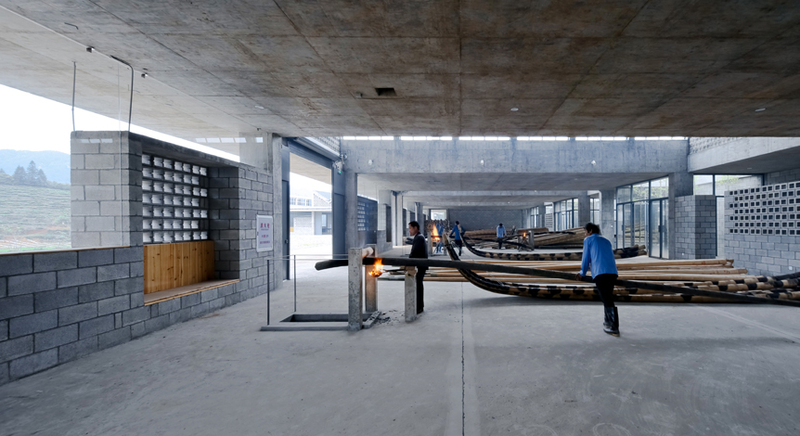 Lengthwise, the space supports manufacturing units which specialize in burning and bending the bamboo tail and head, and the final binding parts of the production process. Oblique skylights filter natural light, these are oriented northward to reduce glare. 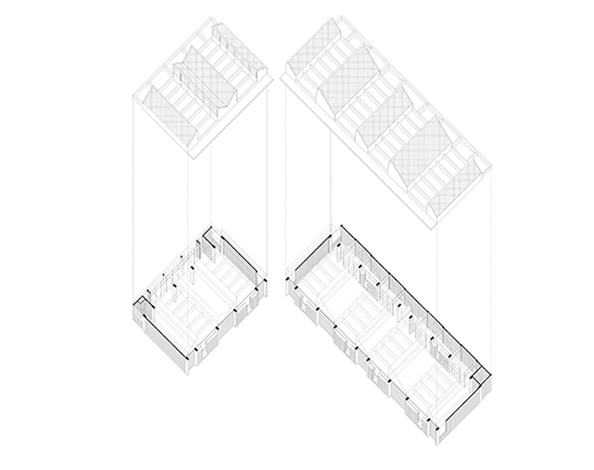 Smaller spaces form rest areas, storage, restrooms, courtyards, and other services. The office and dormitory buildings main feature is the veranda. 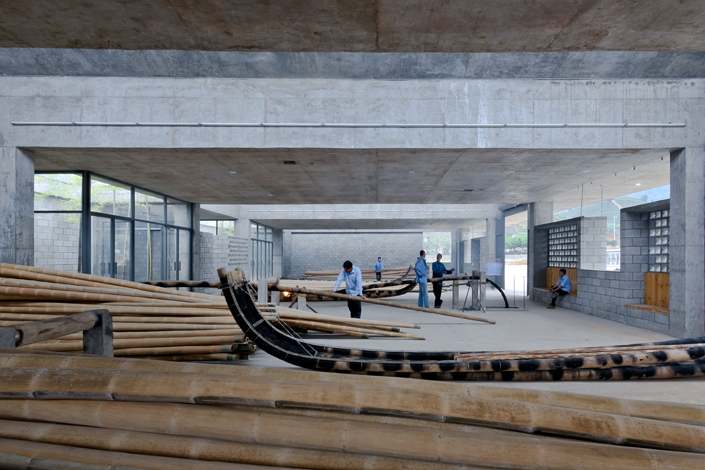 Bamboo stalks are applied along the veranda to form louvers, which also provide shade and well-ventilated insulation. Offices occupy the ground floor, and dormitory and cafeteria occupy the first floor. Pouring concrete into the textured timber formwork. 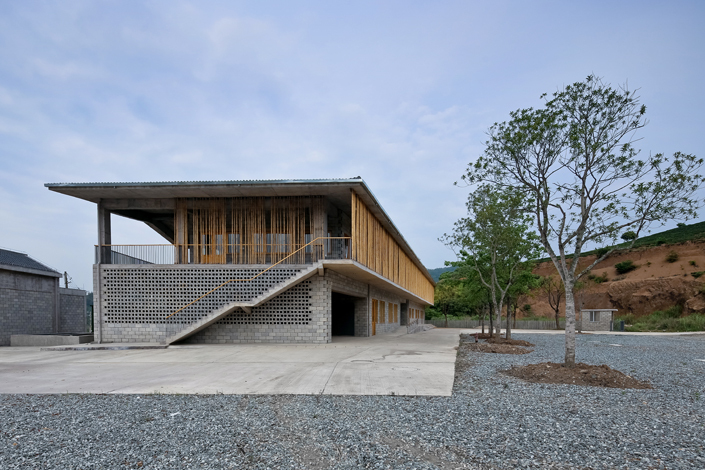 The material pallet is minimal: concrete, bamboo, wood, and other local materials. 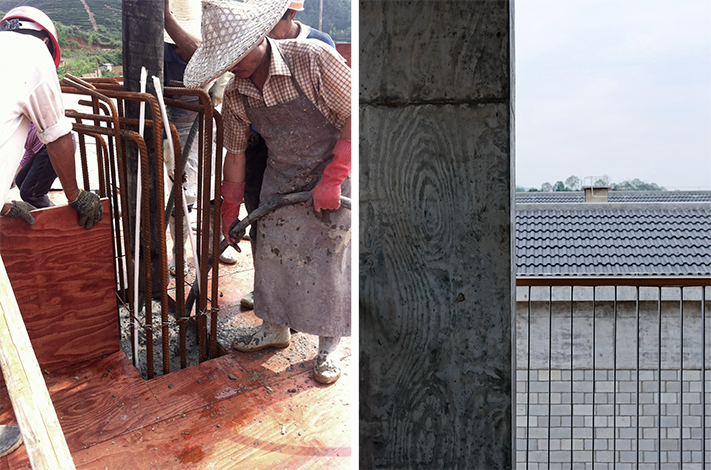 Fresh water concrete is used for the structure, and hollow concrete blocks for the walls. 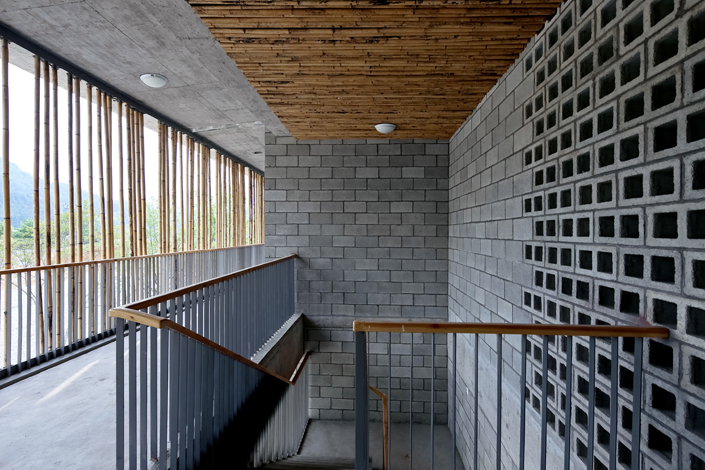 The factory building does not require heat preservation, therefore its outer walls are made with horizontally-laid hollow bricks, allowing passive ventilation. 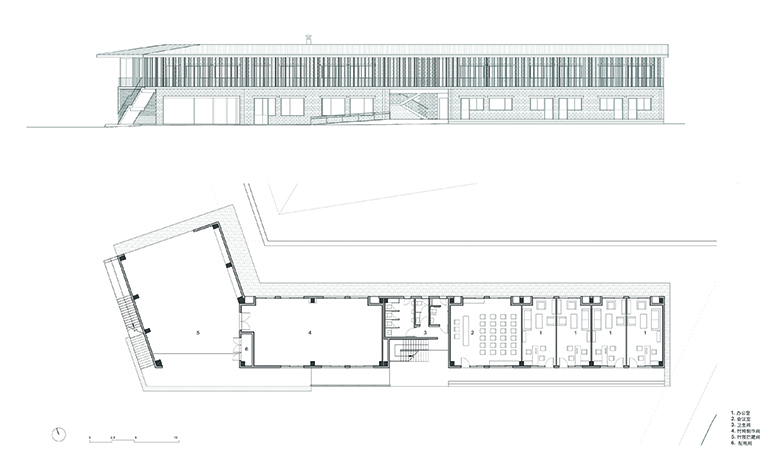 The industrial character of the project discourages superfluous design. Aesthetic simplicity and economy of means prevail. 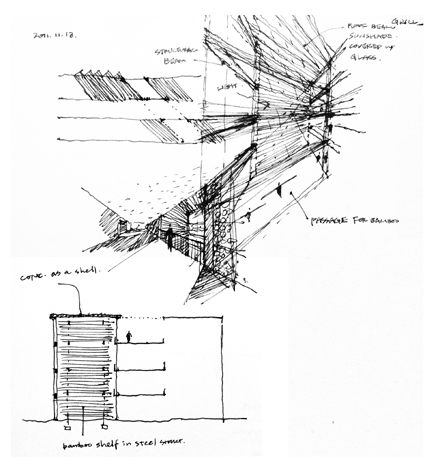 Huge fan of bamboo used on façades!! You might also like this rafting pavilion in TIbet, China… it’s surprisingly colorful and it blends nicely with nature. 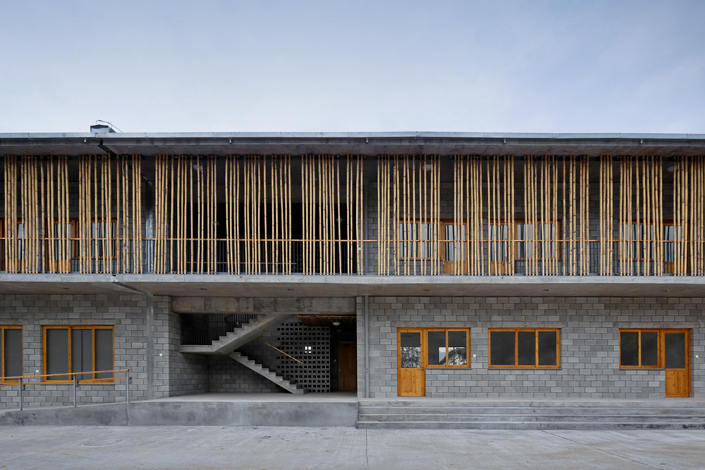 The bamboo here works especially well in contrast with the exposed concrete. 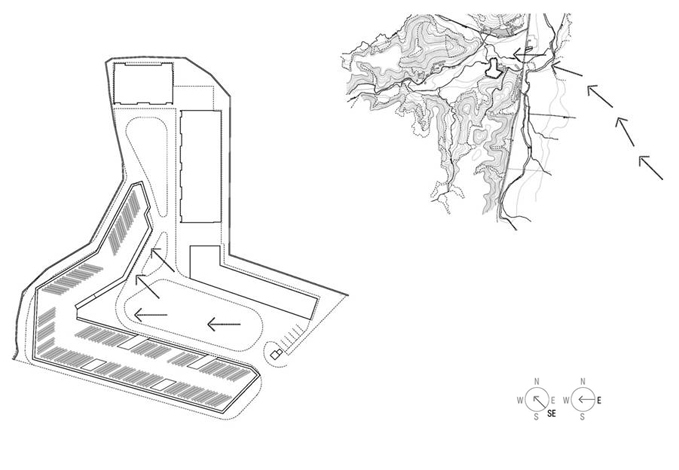 I am familiar with the rafting pavilion in Tibet. Thanks for reminding me of it.